Well, it's all relative---in their inaugural meeting the year before, it was 76 to 0! 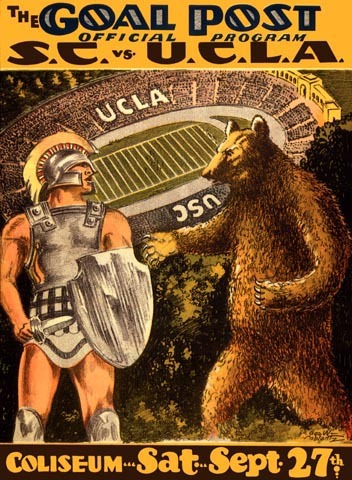 But the noteworthy thing about this particular program is that in the nearly eight decades old rivalry between the two schools, this has been the ONLY program cover that depicts the Trojan and the Bruin together. Those Coliseum cover artists were apparently on a very chintzy budget.